If you are in need of a Private Car Service Chicago, you can assuredly book it with All Action Chicago Limousine because we always provide Duty of Care to all of our valuable passengers. Fully licensed and assured, we can transport you throughout Chicago and its surrounding across the state. Whether you are a business passenger going to a conference or a family direction to the airport, we are the first-rate company you can be contingent on for all of your limo and private Car Service Chicago needs. The next time you need airport transportation service or special occasion transportation, such as a meeting, duties, sporting occasions, live performances, restaurants, a night on the town, or even bar with your friends, please consider us. We are also available for homecoming, proms, and weddings transportation service. Some people simply don’t understand the transportation possibilities of using our Private Car Service Chicago in their travels. The more you explore the transportation adaptability of All Action Chicago Limousine airport car or limo service, the more enthusiastic you’re going to be about corporate transportation service, point to point, town car service, night out on the town car service, and everything else All Action Chicago Limousine bring to the table. The versatility of our service can be put thusly. No matter what you’re looking for in transportation, you can be assured that we are going to be able to deliver it to you. It’s not just a matter of getting you from Airport to your home, hotel, office or other your other desired destination. Whether you want a Car Service Chicago with a chauffeur and SUV for your big business meeting, or you want a driver with a smaller, flashier sedan for a fun trip to Chicago and its surrounding areas, getting around should be more than just getting around. Whether it’s business or desire, why not have your professional car or limo service needs consist of something more than just transport? Why not explore the adaptability of what a true Car Service Chicago with the corporate car, coach or limo service and more has to offer? Why not see just how much an airport transportation service can really do? If you’re looking for the limo or Car Service Chicago that can take you from your hotel to a big dinner that could put your business over the top, All Action Chicago Limousine can also support with that. If you’re looking for a transportation service that can show you the informative and interesting spots in Chicago, you’re going to get a car or limo with a driver who truly knows what the Chicago area can offer in the way of restaurants, casinos, nightclubs, and more. Those are just two probabilities, but there are certainly others beyond the understandable. All Action Chicago Limousine can certainly take you from the airport to your hotel, home, office or wherever you need to be, as soon you step off the plane. If you need a Car Service Chicago that can keep you on schedule for a whole weekend, this is something we will be pleased to discuss with you. If you need a car or limo service that will take you and a guest out for a night on the town, that’s another service that we can offer. Corporate Limousine and Car Service Chicago for Chicago, we offer modified, door-to-door transportation, corporate, and executive travel service in a wide variety of luxurious vehicles, to and from anywhere in the Chicago. If we are not yet your choice for an outstanding Private Car Service Chicago experience, the next time your co-worker and customer need to get somewhere on time and in comfort, give All Action Chicago Limousine a chance to earn your trust and serve you in the better way. Our current clients keep coming back because we always offer the best and professional business transport services than other local taxi and cab and complete peace of mind that they are looking for. All Action Chicago Limousine has a wide range of luxury sedans, limousine, and SUVs, as well as stretch limos, all available on request to transport your customer and co-workers in full-service comfort. Our Car Service Chicago expert team will ensure that you reach on time and stress-free for your flight from O’Hare and Midway International Airport. When you or somebody from your team want to experience a luxurious transportation service, just tell us your tour and we will take care of the rest. Looking for more information? Contact All Action Chicago Limousine and we will be happy to answer all your questions about your transportation service. All Action Chicago Limousine provide safe, dependable, high-quality limo or Car Service Chicago and a first-class experience for every new or repeat passenger along with a few extras that you won’t find anywhere else. We have been experienced the transportation options across Chicago for many years and we also believe that Ride gives just the right combination of efficiency, suitability, and cost-effectiveness to match the needs of businesses of all sizes. I have used All Action Limousine more than once and I can say that they have the best customer service. Easy booking process, good service and fair pricing. I would definitely recommend them to other corporate users. 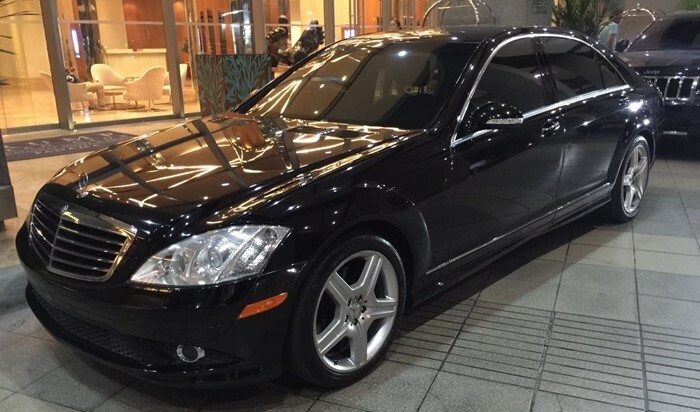 At first I was very hesitant to book a car online but one of my friend referred All Action Limousine. So I thought why not give it a try. And turns out my friend was right. The driver was friendly and he dropped me on time. Thanks again.